Wave after wave of digital innovation has introduced a new set of influences on the public’s news habits. Social media, messaging apps, texts and email provide a constant stream of news from people we’re close to as well as total strangers. News stories can now come piecemeal, as links or shares, putting less emphasis on the publisher. And, hyper levels of immediacy and mobility can create an expectation that the news will come to us whether we look for it or not. How have these influences shaped Americans’ appetite for and attitudes toward the news? What, in other words, are the defining traits of the modern news consumer? A new, two-part survey reveals a public that is cautious as it moves into this more complex news environment and discerning in its evaluation of available news sources. In this digital news environment, the role of friends and family is amplified, but Americans still reveal strong ties to news organizations. The data also reinforce how, despite the dramatic changes witnessed over the last decade, the digital news era is still very much in its adolescence. These findings come from a two-part study which asked U.S. adults a wide range of questions about their news habits and attitudes, and then over the course of a subsequent week asked them in real time about news they had gotten in the last two hours. The first survey was conducted, among 4,654 U.S. adults ages 18 and older who are members of Pew Research Center’s American Trends Panel. The second survey consisted of 14 short, online surveys that were administered two per day. Survey invitations were sent at different times each day, and responses were accepted for two hours after the invitations were sent. Panelists who completed the January wave on the web and reported that they get news online were asked to participate in the experiential study; 2,078 panelists participated and completed at least 10 of the 14 surveys. In the Spanish language version of the questionnaire, “local television news” was mistranslated as “television news” for a question asking respondents how often they watch local television news (which resulted in a 46% share who said they do so often). This affected the 66 respondents who took the survey in Spanish (4% of the sample after weighting) The effects of this mistranslation were minimal and do not affect the report’s conclusions. Americans express a clear preference for getting their news on a screen – though which screen that is varies. TV remains the dominant screen, followed by digital. Still, TV news use is dramatically lower among younger adults, suggesting further shake-ups to come. But demographics speak to the fragility behind those TV numbers. While solid majorities of both those ages 50-64 (72%) and those 65+ (85%) often get news on TV, far smaller shares of younger adults do so (45% of those 30-49 and 27% of those 18-29). 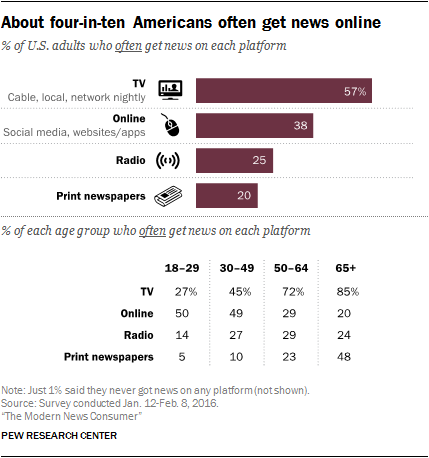 Alternatively, the two younger groups of adults are much more likely than older adults to turn to online platforms for news – 50% of 18- to 29-year-olds and 49% of those ages 30-49 often do so. TV’s staying power over print is buttressed by the fact that Americans who prefer to watch news still choose TV, while most of those who prefer to read the news have migrated online. The greatest portion of U.S. adults, 46%, prefer to watch news rather than read it (35%) or listen to it (17%). When paired with the platforms people prefer, the data reveal that as of now, the web has largely pulled in “readers” rather than “watchers.” While those who prefer watching news predominantly opt for TV and listeners turn to radio, most of those who prefer reading news now opt to get news online rather than in print (59%, compared with 26% of news readers who opt for print). 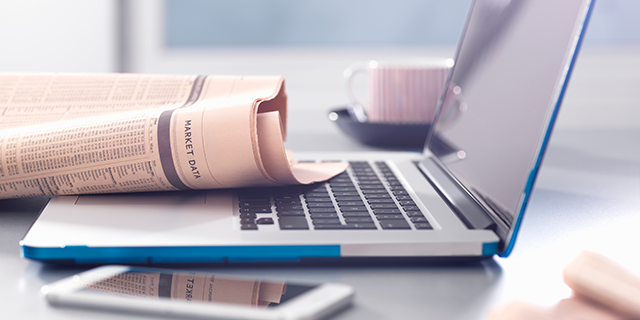 Within the digital realm, mobile news consumption is rising rapidly. The portion of Americans who ever get news on a mobile device has gone up from 54% in 2013 to 72% today. Two-thirds, 66%, of adults get news on both types of digital devices, while 13% get news only on a desktop/laptop and 5% only do so on a mobile device (15% do not get news on any digital device). But, among those who get news on both, more prefer mobile (56% to 42% who prefer desktop). One of the most prominent distinctions between those oriented towards mobile devices for their digital news and those oriented towards desktops is age. Fully seven-in-ten of those ages 18-29 either prefer or only use mobile for getting their digital news, compared with 53% of those 30-49, 29% of those 50-64 and just 16% of those 65+. When it comes to news attitudes and habits, the two groups are quite similar. 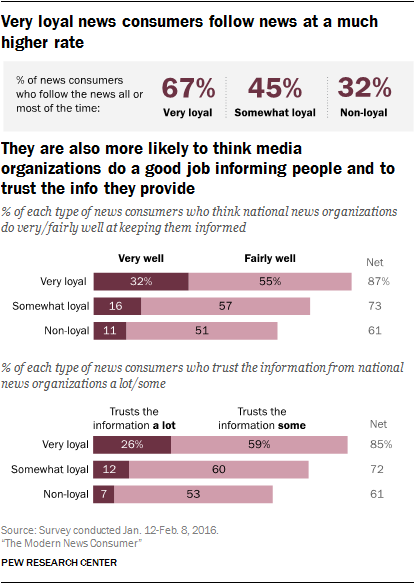 This includes loyalty to news sources, trust in information from news organizations, discussion of news with others and level of engagement with news on social media. Personal contacts are also a common source of news and can play an amplified role online. 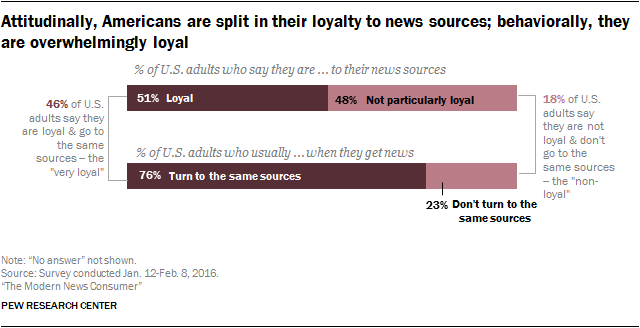 But Americans see clear distinctions between news organizations, friends and family, and more distant individuals. About two-thirds (63%) of Americans say family and friends are an important way they get news, whether online or offline; 10% see them as the most important. 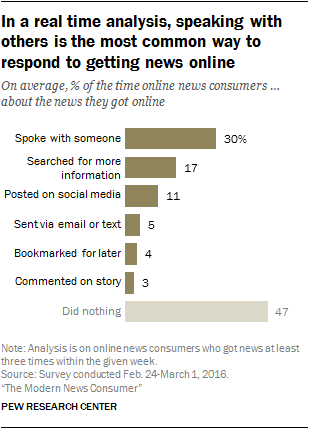 Still, online news organizations play the larger role: 36% of online news consumers often get news from news organizations, compared with about half as many who do so from people with whom they are close (15%). Even fewer (6%) say they often get news from people they’re not close with. But those who get news from these sources are as likely to say the news from close friends and family is relevant as they are to say this of news organizations; 15% of those who get online news from close personal contacts say those updates are very near to their interests, compared with 11% who get news from news organizations and 4% of those who get news from more distant contacts. 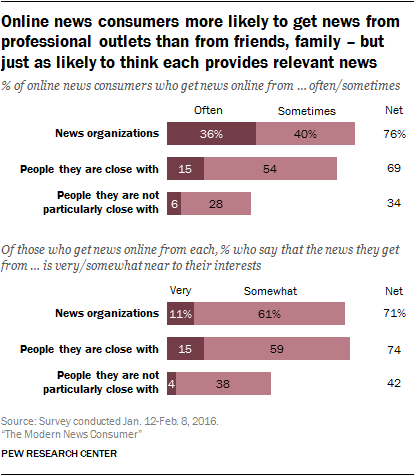 The less newsy are more likely to say friends and family are important pathways to news: 69% of those who follow news less often say friends and family are important, compared with 57% of those who follow news all or most of the time. Additionally, women are more likely than men to say friends and family are important, young adults are more likely than older adults, and blacks are more likely than whites to say this. 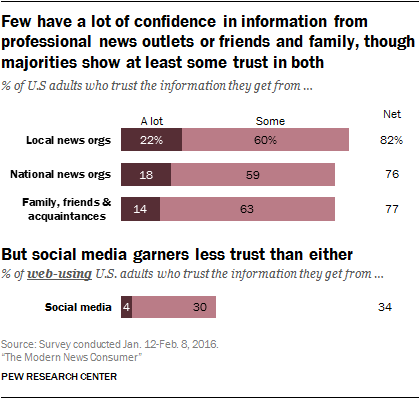 Few have a lot of confidence in the information they get from professional outlets or friends and family, but large majorities have at least some trust in both; social media gets substantially lower trust scores. Only about two-in-ten Americans (22%) trust the information they get from local news organizations a lot, whether online or offline, and 18% say the same of national organizations, slightly higher than the 14% who say this of the information they get from their friends and family. While the portion saying they have a lot of trust in each group is low, large majorities have at least some trust. Social media, on the other hand, is trusted by a slim minority – only 4% of web-using adults have a lot of trust in the information they find on social media. And that rises to only 7% among those who get news on these sites. When those who get news online from each source type were asked specifically about each’s accuracy, news organizations again sit at the top; 15% of those who get news from news organizations online find them very accurate, compared with 7% who say the same about people they are close with and just 2% for people they are not particularly close with. Democrats are more likely than others to have “a lot” of trust in the information from national news organizations: 27% do, compared with 15% of Republicans and 13% of Independents. Those ages 50+ (22%) are also more likely than those ages 18-29 (10%) and those 30-49 (16%) to trust information from national news organizations a lot. U.S. adults see the news media as performing its watchdog function – but overwhelmingly say that news organizations are biased. Three-quarters of Americans think that news organizations keep political leaders in check – preventing them from doing things that they shouldn’t be doing. But about the same portion (74%) say that news organizations tend to favor one side – including 75% of those who say the media prevents leaders from doing things they shouldn’t. 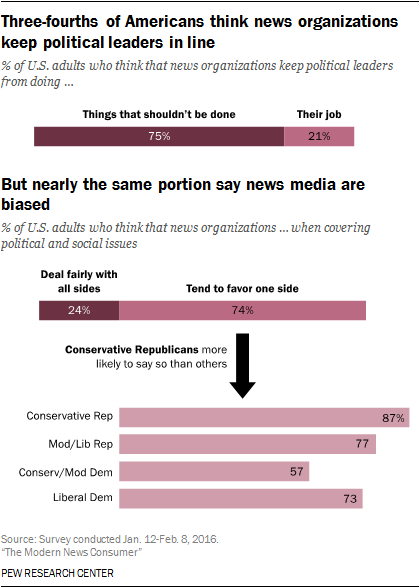 Political differences emerge here with conservative Republicans most likely to think that news organizations are one-sided. This ideological difference is reinforced by earlier research that asked about trust of individual news organizations. Of the 36 sources asked about in our 2014 survey, 28 of them were trusted more than distrusted by respondents who expressed consistently liberal political views across a range of questions about political values; 24 of them were distrusted more than trusted by consistent conservatives. Americans are more evenly divided on whether online news they get from friends and family is one-sided – but many would prefer that it were not. 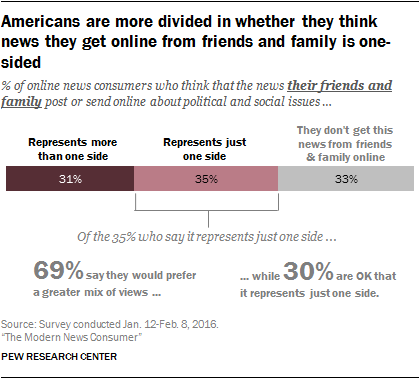 35% of online news consumers say the news they get from their friends and family online is one-sided; 31% say that it represents more than one side. Most, 69%, of those who say that the news from friends and family online is one-sided would prefer that they post or send things that represent a greater mix of views. Three-in-ten are OK with the one-sidedness. Conservative Republicans that say the news they get from friends and family is fairly one-sided are much more likely than others to say that this is OK (51%, compared with about a third or less of other political groups). The numbers for source recall were updated to account for the small number of times respondents skipped the question. No number changed by more than one percentage point. While many Americans get news from social media, few social media news users are heavily engaged with news there. 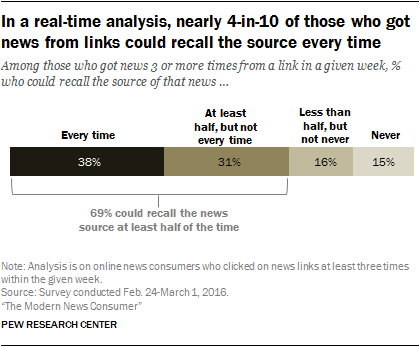 About a quarter of social networking news consumers (26%) often click on links to news stories on social media. 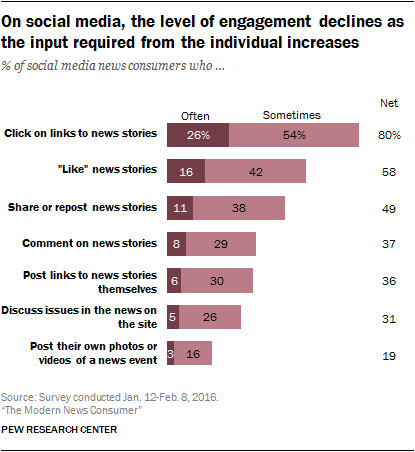 But only 16% often “like” news stories and fewer than that often comment on or discuss news stories, or share/repost news stories on social media. More social interaction about news still occurs offline. While people get news online at very high rates, the conversation about the news is not happening there at nearly the same rate as it is offline – people still overwhelmingly share news with others in person or over the phone. This is even true when it comes specifically to news people get online. In the follow-up survey in real time, researchers found that when they got news online, respondents were more likely to speak with someone about the news they got than they were to do anything else, including emailing or posting about it; on average, when people got news online, they spoke with someone else about it 30% of the time, more frequently than posting about it on social media, sending it via email or text, or commenting about it on a news organization’s website. Intentionality matters when it comes to online news consumption: those who seek the news out behave differently than those who stumble into news while doing other things online. Overall, more digital news consumers get their news online in the process of accomplishing other digital tasks (55%) than specifically seek the news out (44%). 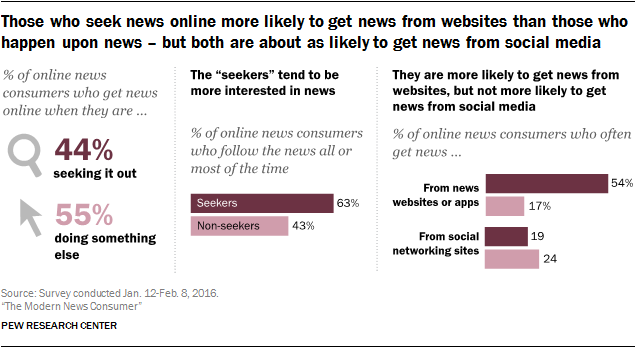 Those who get news online by seeking it out (“seekers”) are more interested in news overall: 63% say that they follow the news all or most of the time, compared with 43% of those who do not tend to seek out news online. 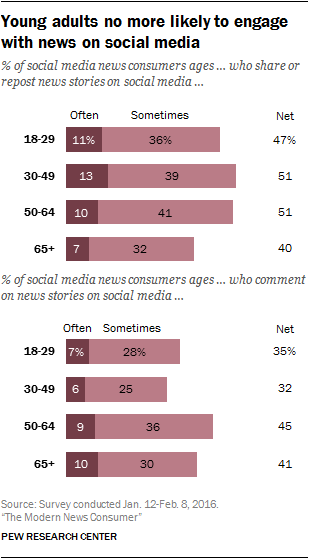 Seekers are also more likely than other online news consumers to get news online from news organizations and news websites or apps, though their use of social media as a source for news is about the same when accounting for demographic differences. Seekers are less likely to say that friends and family are an important way they get news: 56%, compared with almost seven-in-ten of non-seekers (69%). Men and white non-Hispanics are more likely to seek out news online: 51% of men seek out news online, compared with 37% of women, and about half of whites (47%) are seekers, compared with 31% of blacks. Only about a third of digital news consumers (36%) actually prefer the online world as their primary platform for news. Online, though, they demonstrate a more active interest in news, seeking it out rather than just happening upon it while doing other things. They are also more likely to say that getting news online gives them a wider range of news than they would get otherwise. Those who prefer to get news online are also more likely to often click on links to news stories on social media (35% of digital preferrers who get news on social media vs. 21% of other social media news consumers) and to at least sometimes post their own news links (42% vs. 32% of others). Those who prefer to get digital news are also more likely than others to share news digitally (27% say this is the most common way they share news, compared with just 8% of others). 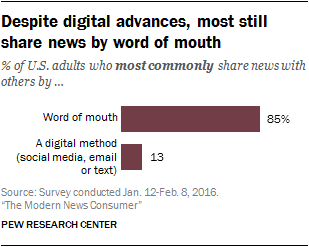 But even those who prefer digital platforms for news are most likely to share news with others by talking with them. 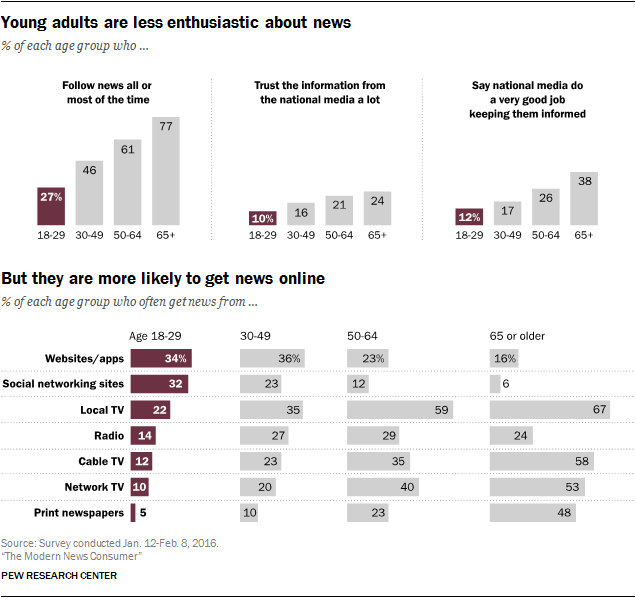 Younger adults are more likely to prefer to get news digitally: 54% of those ages 18-29 do, compared with 38% of those ages 30-49, 15% of those ages 50-64 and 7% of those ages 65+. Those with college educations are also more likely to prefer digital: 37% of those with college degrees and 33% of those with some college education, compared with just 17% of those with high school degrees or less. Democrats overall express more trust than Republicans in the information they get from national news organizations. Fully 31% of liberal Democrats and 24% of conservative/moderate Democrats trust information from national news organizations a lot (vs. 13% of conservative Republicans and 18% of moderate/liberal Republicans). As noted earlier, conservative Republicans are the most likely to say the news media tend to favor one side (87%) and conservative/moderate Democrats are the least likely (57%). 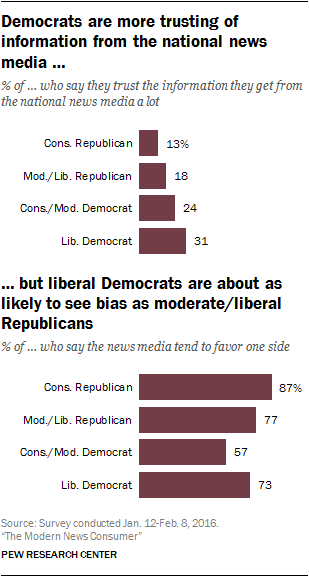 At the same time, though, about three-in-four liberal Democrats (73%) see news media bias, about equal to moderate/liberal Republicans (77%). 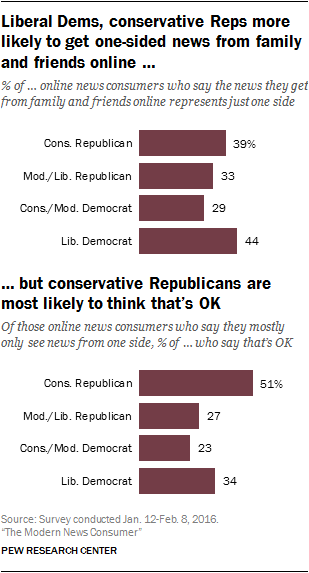 Online, those at either end of the ideological spectrum are somewhat more likely to get one-sided news from family and friends; Conservative Republicans are most likely to be OK with it. But both sides see personal contacts as an important news source. Among online news consumers, roughly four-in-ten conservative Republicans (39%) and about as many liberal Democrats (44%) say news they get from family and friends online represents just one side, outpacing the more moderate members of each party. But about half (51%) of conservative Republicans who said they see mostly one-sided news say this is OK, exceeding all other political groups, including liberal Democrats (34%). The Center has seen similar differences across the ideological spectrum in the past. In our 2014 report on political polarization and media habits, we found that half of consistent conservatives say they only talk politics with other conservatives, while liberals were most likely to drop a friend because of politics. These differences emerge despite the fact that both sides are about equally likely to consider friends and family an important source for news. Liberal Democrats are, however, somewhat less likely to say friends and family are the most important way they get news (5%, compared with 10% or more among the other groups). "A company's logo is its shorthand, a visual cue that tells a story of the brand's culture, behavior, and values," said Su Mathews Hale, a senior partner at the New York brand-strategy and design firm Lippincott. Because a logo may only have a second to tell this story, creating one "can sometimes be the most difficult aspect of branding," she said. We had her guide us through some of her favorite projects she's worked on, as well as some of the corporate logos she most admires. In 2005, Wal-Mart recruited Lippincott to reimagine its brand. It wanted to shed its image as a big corporate outlet for cheap products and become seen as a place where people could wisely save money and buy premium groceries. Wal-Mart debuted its new logo in 2008. Mathews and her team felt that the old logo's all-caps, dark blue letters screamed "corporation" and had become inextricably linked to the popular view among critics who saw Wal-Mart as a malevolent giant crushing small businesses across the country. They deemed the star serving as a hyphen generic and forgettable. They also believed that businesses with hyphenated "mart" names conjured up images of corner stores and cheap outlets. They decided to keep the color blue, which Mathews said is the world's favorite color, but go for a brighter hue they believed evoked modernity and trustworthiness. They replaced the sharp angles of the original letters with "a more humanistic font." Finally, they decided on an asterisk-like symbol they wanted to look like "a lightbulb going off in your head," a metaphor for Wal-Mart shoppers being smart for taking advantage of affordable, quality products. They chose a hue of yellow that appeared hopeful but didn't make it too bright because "bright yellow is associated with low-cost items in retail," said Mathews. She was happy to find that focus groups also interpreted the spark as a sun or flower, both positive associations. In 2012, eBay basically had the inverse problem from Wal-Mart: It wanted to finally grow up, and its playful logo was getting in the way of its ambition. Mathews said that when Internet companies have electric, jumbled logos, they conjure up memories of the companies that died when the dot-com bubble burst. So, for eBay, she and her team stuck close to the original design but refined the typography, toned down the colors, and put the letters on the same baseline. The resulting logo is "more grounded" and better suited for a company that takes business seriously. Hyatt Hotels Corporation bought AmeriSuites in 2004, and Lippincott was responsible for rebranding the chain as Hyatt Place, which launched in 2006. Hyatt and the designers believed that AmeriSuite's affordable business-suite market was beginning to be seen as boring, cheap alternatives to upscale hotels, and that the way to turn it around would be to turn it into the option for younger business travelers who may not be very wealthy but still appreciate luxury. A fundamental component of the relaunch was to give every Hyatt Place an attractive, engaging lobby. The final logo combined two different shapes: In design, said Mathews, "a circle tends to be seen as modern and approachable" and "a square tends to be steadfast and disciplined." The design team chose vibrant colors for seven of the circles and picked black for two. When Hyatt Place signs are illuminated at night, the colored circles create an "H" for "Hyatt," which Mathews finds to be a fun, extra dimension of the logo. Over the past several years, Starbucks has grown into a global powerhouse and has been heavily promoting its non-coffee products, like pastries, sandwiches, and teas. In 2011, it decided it wanted a simpler logo not tied to the word "coffee." Mathews was not involved in the project, but her Lippincott colleagues were. The redesign started with a basic premise. When focus groups were asked what color Starbucks' logo was, explained Mathews, participants almost universally said "green." But the thing is, only the ring around the former logo was green — the siren character was outlined in black. Mathews said the designers freed the siren from her constraints and imbued her with the color with which customers were already associating the brand. They nixed the word "coffee" and brought the text outside of the circle, since the siren had become iconic enough to stand on her own. "It's a great example of how a logo can evolve," said Mathews. Lippincott has not worked with NBC, but Mathews said the NBC peacock is one of her favorite logos. She thinks the logo has improved over time as it's gotten simpler, and that even though the peacock's colors originally celebrated the advent of color television, the array of colors still transmits feelings of joy and energy. FedEx's logo is another one of Mathew's favorites. As shown by her work with the Hyatt Place logo, she likes images that have surprises in them, and the arrow formed by the "E" and "x" in FedEx is one of the best-known hidden designs. She also appreciates the timeless nature of the logo. "It could have be designed in 1970 or it could have been designed yesterday," she said. It was actually created in 1994 by Lindon Leader, and it has won more than 40 design awards, partially for the reasons Mathews mentioned. Mathews thinks that Apple's logo is a perfect example of how a logo needs to adapt to the changing direction of the company it represents. One of Apple's co-founders, Ronald Wayne, designed the first Apple logo, a weird, detailed etching of Sir Isaac Newton that was supposed to represent the way Apple was an ambitious outsider. That same year, Steve Jobs hired Rob Janoff to replace it with something more modern. Janoff came up with the now iconic image of an apple with a bite out of it, and Jobs decided Apple's unique approach to computers would be represented by making it rainbow-colored. It became monochrome in 1998 to fit into the clean, simplistic designs that the company decided to pursue. When tackling a branding project, Mathews differentiates between the "true and new." She say a logo needs to be "true," in the sense that it should not be fundamentally tied to a trend, the "new." The trendiness is more appropriate in supporting elements of branding, like store experiences or website interfaces. 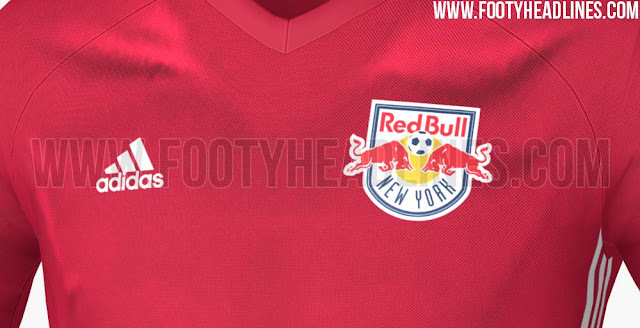 That said, a logo should be fundamentally sound but also be adaptable to the ways it will be presented. 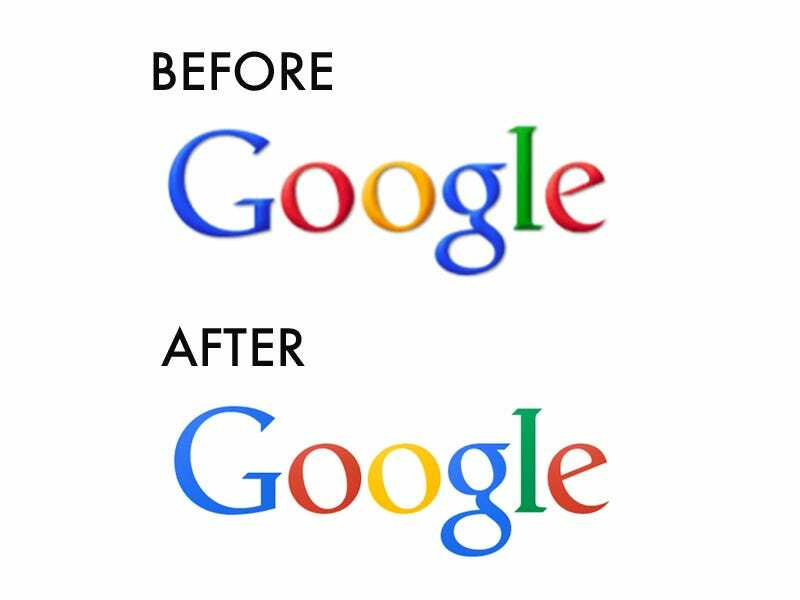 "Logos used to have to be recognizable down to the size that they would be represented on a business card. 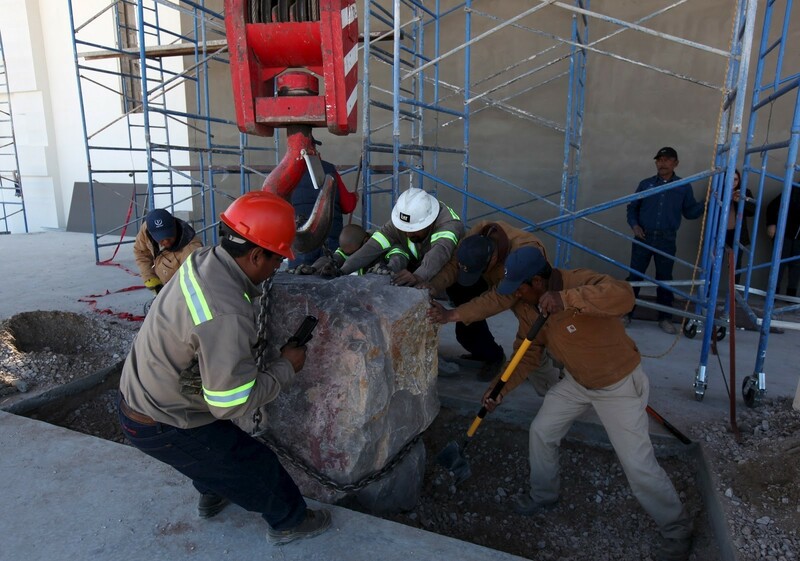 Now they have to work at much smaller sizes, because they'll be seen on mobile screens," Mathews said. That's actually the reason why so many logos have become "flatter," in the sense that they've been stripped of techniques like shadowing that add a dimension of depth or movement. "I personally like more simple designs," said Mathews. "Gradients are my worst nightmare." President Donald Trump particularly saw improvement in Americans’ views of his influence on lawmakers. 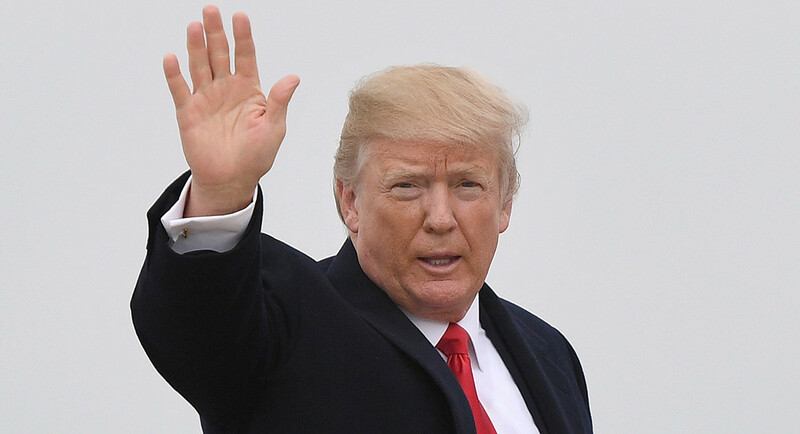 President Donald Trump’s approval rating is on the upswing, rising above 40 percent for the first time since September and up 10 points from December in a poll released Wednesday. Forty-two percent of Americans approve of Trump’s job performance, according to the latest Monmouth University poll, a sizable uptick from his low mark of 32 percent in Monmouth’s findings last month. Though a majority of Americans still registered disapproval of the president, the figure dropped to 50 percent in January from 56 percent in December. The findings signal Trump’s best outing in a Monmouth approval poll since last March, when 43 percent registered approval and 46 percent expressed disapproval. The president’s rating hovered around 40 percent point for months before tumbling toward the end of 2017. Trump particularly saw improvement in Americans’ views of his influence on lawmakers. Fifty-five percent of voters said the president was at least somewhat successful at carrying out his legislative agenda in Congress, a 13 percent improvement from December, before Republican leaders passed their sweeping tax package. Americans also appeared to soften their stance toward the GOP tax law, with the same proportion — 44 percent — registering approval as those who disapproved. Only 26 percent said they supported the measure in December. A majority of those surveyed said they felt the country was on the “wrong track,” but the results showed an uptick from recent months. Thirty-seven percent said they approve of the country’s direction, up from 24 percent in December. Though Americans continued to overwhelmingly disapprove of the job performance of the Republican-controlled Congress, support for generic GOP candidates rose. While Democratic candidates held a 15-point lead in a generic matchup with Republican officials in December, their lead shrunk to a mere 2 points in January. The Monmouth University Poll surveyed 806 adults age 18 or older from Jan. 28-30 via landlines and cellphones. It has a margin of sampling error of plus or minus 3.5 percentage points. When it comes to targeting young voters, political parties have found themselves in the same place brands were about 10 years ago. At this time, a digital culture rapidly emerged and flourished but major brands – still over-reliant on their legacy models of broadcast advertising – were unable to engage in a successful dialogue. Proof is in the stats. A recent poll has shown that 70% of 18 to 22-year-olds would most likely tick a box backing “none of the above” on their ballot papers, and that only 23% of young people definitely plan to vote at the general election. Research also suggests that the youth turnout rate in the UK is the lowest of all the 15 members of the old EU. Clearly, UK politics and all key parties within it have work to do to connect more successfully with younger voters. Communications experts rightly point to the extreme fragmentation and personalisation of the media landscape as a factor in this communication breakdown. However, at the same time media convergence has stimulated a large number of new ways in which younger people engage with political causes and content. Young people are highly likely to view and share politically themed content – as long as it is targeted at them correctly. There has been a proliferation of ways to sign up to and recruit others to petitions and pressure groups. However, little of this conversation is stimulated or guided by the major political parties. But all is not lost. Brands such as Adidas and Red Bull have increasingly overcome this challenge and created meaningful relationships with this audience. Here are eight things that political parties can learn from their success. A major party cannot choose between niche communications and a single inclusive campaign message. In the digital landscape it shouldn’t have to – the opportunity exists to create a clear, compelling vision but then position the most relevant elements of it to the most relevant sub-groups, using the data that is now at their disposal. For an audience that has grown up with social media, personality is much more compelling than institutional authority. Find the most compelling, authentic personalities and give them as many opportunities as possible to engage directly with people. It is as important to think about whether these personalities are good listeners, empathetic and engaging, as whether they are institutionally sound. The messenger is the message. Youth audiences will expect you to respond at speed to events, particularly on social media, so you need brilliantly sharp radar for what is going on in culture. But quick wins are often soon forgotten and too much reaction without clear purpose will be judged harshly. You need to know your direction and stick to your compass. One of the main restrictions of UK politics is on political TV advertising, but the rules of digital video are far more relaxed – which means your video can be held in the palm of people’s hands and shared effortlessly. Digital video is a huge opportunity to engage with younger audiences, but political parties are only beginning to explore it. The use of behavioural data needs to be explored carefully and only ever in an anonymised form and at an aggregate level. However, it is clear that you would want to position different messages between the politically engaged and the apathetic, between the likely swing voter and the relative loyalist. These data signals exist and therefore the opportunity to avoid irrelevance has never been greater. The hardest gap to close will always be the gap to action – submitting a postal vote or going down to the polling station. Don’t underestimate the importance of the last 10 yards and of sending many reminders, countdowns and directional communications. Social media, Twitter in particular, is like a massive, crowd-sourced transparency unit. 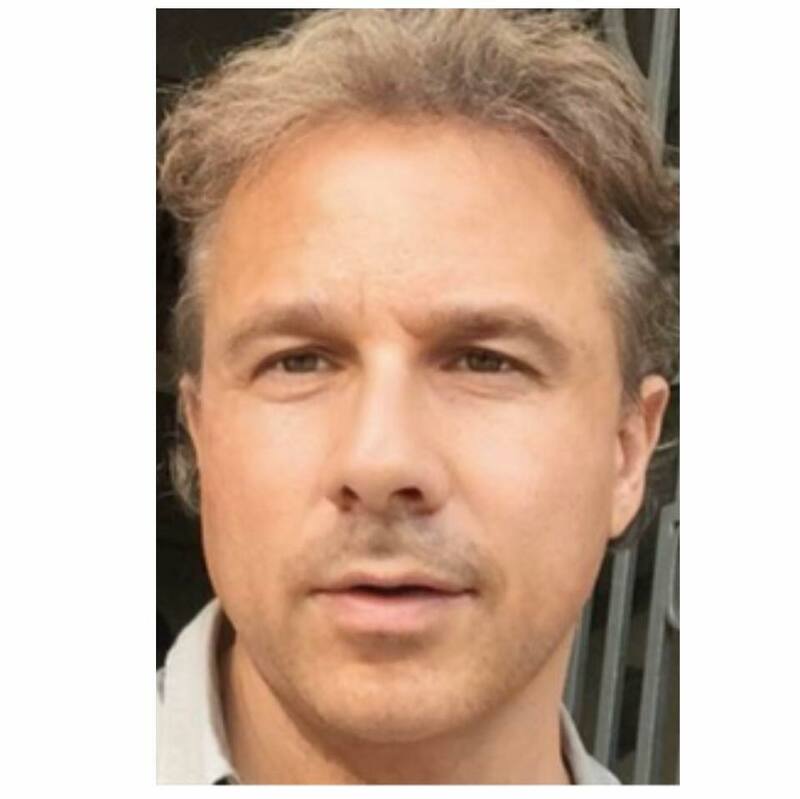 You have to assume that any historical inconsistency, the provenance of any images, set of words or video, the conflict between personally held and publicly stated views, will be discovered almost immediately. Don’t let issues of transparency become bigger than the message itself. It is easy for marketers to patronise youth audiences and attach old-fashioned stereotypes. Younger audiences are extremely engaged with the challenges of globalisation, with the challenges of the labour market and the battle for values around cultural inclusion. The media and style required to communicate may differ, but the messages still need to be a reflection of your fundamental vision of society and the values of your cause. Getting to Yes with China in cyberspace: is it possible? Since the People’s Republic of China was founded in 1949, the US – China relationship has been characterized by substantial areas of conflict, confrontation, and strategic mistrust. By mid-2015, many leading US specialists on China described a rapid deterioration in bilateral ties, which could be described as an across-the-board contest; US analysts now call for a new grand strategy toward China to balance its rising power. A growing number of Chinese observers similarly appear to see relations as reflecting a “silent contest” between the world’s two most powerful countries, argues Getting to Yes with China in Cyberspace. Unfortunately, this pattern of growing tensions applies just as much to cyberspace; indeed, cyberspace has become one of the most contentious arenas. By some accounts, tension in this area is one of the main sources of a broader deterioration in ties. However, while US dissatisfaction with Chinese behaviour in cyberspace plays a large role in how the United States views China overall, China’s concerns about US behaviour in cyberspace play a substantially more modest role in shaping how China views the United States overall, which may help explain why the two sides have had limited success in sustaining dialogue over the issue to date. The United States and China initiated a formal bilateral dialogue on cyberspace in 2013, but the Chinese cut off this dialogue in 2014, after the United States indicted five People’s Liberation Army officers for conducting cyber espionage against US targets. While the bilateral Cyber Working Group appears to have been abandoned as an approach, discussions on cyberspace issues did occur at the bilateral Strategic and Economic Dialogue in the summer of 2015, and an initial agreement to move forward on the issue took centre stage on the outcomes list of the Xi-Obama summit held in Washington in September 2015. Still, substantial questions persist about the two nations’ relationship in cyberspace. In the absence of a set of fully fleshed-out norms and procedures to modulate troublesome activity and set rules for cyberspace, the issue will continue to represent a substantial risk to the bilateral relationship, regional peace and stability, and global order. From the US perspective, three issues dominate. The primary complaint has been with China’s multiple and repeated intrusions into corporate networks to steal intellectual property and proprietary business information. A second concern has been the growing penetration of US systems through cyberspace for traditional espionage purposes related to national security (e.g., the penetration of the Office of Personnel Management revealed in mid-2015, possibly for the purpose of compiling enormous databases on US citizens – and also, potentially, their Chinese contacts – for potential recruitment or blackmail). A third US concern is over the prospect that China might be prepared to use a cyberattack to take down US critical infrastructure during a crisis. A fourth concern is the lack of clarity over each side’s use of cyberattack in warfare and the risk in escalation. For its part, China decries US accusations of hacking and proclaims that it is itself a victim of cyberattacks coming from the United States. Chinese officials and commentators complain about US restrictions on market access for Chinese telecommunications firms such as Huawei and ZTE Corporation. Chinese commentaries also bemoan US funding of internet censorship–circumvention technology and argue for the right of states to control the information that individuals can access within their boundaries (a notion known as cyber sovereignty). China observers also decry US internet “hegemony,” noting that many of the routers and servers, as well as the software used to support the backbone of the internet in China, are produced by and/or controlled by US firms. Given these divergent views, and in the aftermath of China’s abandonment of formal talks on cybersecurity with the United States, we were drawn to and motivated by several urgent policy questions in writing this report. 1. Can the United States and China achieve meaningful outcomes through formal negotiations over norms and rules in cyberspace? 2. If meaningful negotiations are possible, what areas are most likely to yield agreement and what might be exchanged for what? 3. What are the feasible paths to getting to useful agreements over norms in cyberspace? The analysis in Getting to Yes with China in Cyberspace should be of interest to two communities: those concerned with US relations with China, and those concerned with developing norms of conduct in cyberspace, notably those that enhance security and freedom. Chinese and US views of cybersecurity have very little overlap. The United States and China have very different perspectives on cyberspace. The United States emphasizes extending the rule of law internationally. China stresses the maintenance of state sovereignty. The most important US interest on the bilateral agenda is for China to eliminate espionage for commercial gain and modulate its other cyber-espionage activities. The hack of the Office of Personnel Management was a particular sore point. Within the bilateral relationship, the United States places more importance on cyberspace issues than China does. Chinese behaviour in cyberspace is often the top item on the bilateral agenda; U.S. behaviour in cyberspace rarely makes China's top-ten list. The Chinese appear interested in norms against countries attacking one another's critical infrastructure. They also understand that such a norm would also have to forbid espionage against critical infrastructure (distinguishing espionage from implanting attacks is very hard). The United States believes it can catch the Chinese cheating and would like some process by which cheating, once discovered, is acknowledged — with possible consequences to follow. The Chinese believe they are unlikely to catch cheating by the United States and are apprehensive of any agreement that would put them at a corresponding disadvantage. Any serious agreement would need a process that both sides could trust and may require some way to increase China's confidence in its own attribution capabilities. The United States should negotiate with China over cyber rules by linking the issue more directly to the broader health of the overall relationship between the two countries. China and the United States could possibly achieve progress in cybersecurity negotiations by means of an agreement that would have both countries refrain from attacking each other's critical infrastructure or carrying out cyber espionage that could leave behind implants that could facilitate such attacks. The United States might consider assisting China by sharing insights into attribution if, in exchange, China would to agree to common evidentiary standards and credibly commit to prosecuting those found to have violated them. Such an agreement would require some mutually approved method of determining when one or the other side had violated its part of the bargain in ways that would have the guilty party accord legitimacy to such findings and admit what it has done. The United States may need to simultaneously incentivize China to come to and stay at the bargaining table by raising the costs if China continues its economically motivated cyber-espionage activities, while exploring the potential role of a quid pro quo in facilitating agreements that can be monitored. Three very large companies might just be able to turn employees into more responsible consumers. But there's a reason no one else ever has. 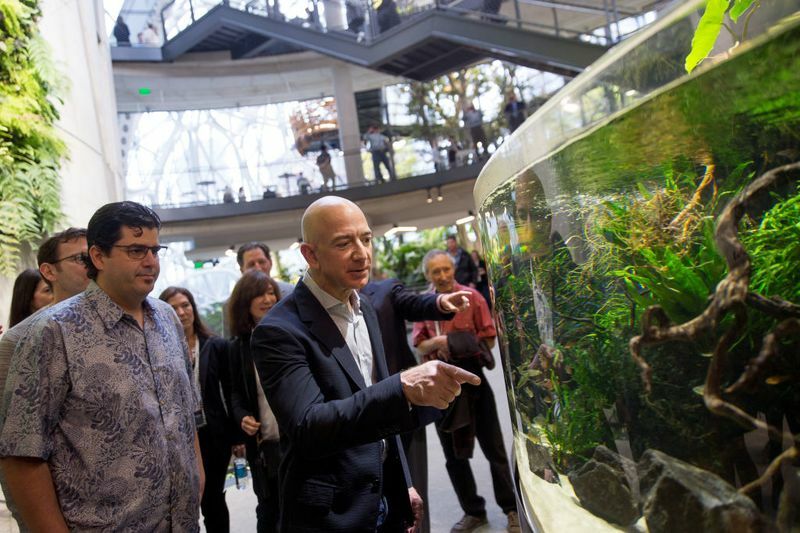 Jeff Bezos is improving workers' space, and next -- their health. Health-care costs are a bit like the weather: Everyone talks about them, but no one ever does anything about it. They differ, however, in this regard: People want to do something about health-care costs. And yet, those costs have long outpaced inflation and are projected to reach one-fifth of our gross domestic product by 2025. Companies, which provide much of the health insurance in this country, are understandably nervous about this state of affairs. They would like to do something to stop it. And three very large companies, with a lot of market power, have just announced that darn it, they’re gonna. While the initial focus will be on technology, and the efforts will initially be aimed only at employees of the three firms, one suspects that the ambitions are slightly bigger: building a business that can somehow tamp down the pressures that drive health-care costs ever upward. In remaking the market for health-care services, they might even divert some small fraction of that gross national spending into their own pockets. And if they can, more power to them; paying Amazon et al an outlandish profit would be well worth it if they can actually dam up the river of money that flows into the health-care system every year. The question is, can they? Or will they, like many others before them, start building what they think is a mighty levee, only to see it collapse under the pressure as the flood waters roll on? It’s not entirely crazy to think that they might. Start with the little-known fact that most large companies self-insure. They generally pay outside firms to administer their health insurance for them, but they are financially responsible for the claims. A large employer is a little statistical universe, with unusually healthy employees balancing out the bills for the unusually sick ones. So while those companies are not experts in managing health insurance in the way that, say, Aetna is, they do have some experience with it. Add in the fact that Amazon is really, really good at technology -- and most health-care companies aren’t. Much medical technology is wondrous, to be sure -- but the systems that tie all that technology together are, by the standards of any other industry, a hot mess. There are a number of reasons for this, from privacy laws to provider fragmentation, but it’s hard to escape the conclusion that part of the reason health care IT is so bad is that it simply doesn’t have to be very good. Large parts of health care are sheltered from normal competition, because people don’t shop around for doctors and hospitals, and the companies paying the bills don’t have a great deal of control over the system. The health-care companies that do do IT well don’t necessarily get rewarded for it, because the payment systems aren’t set up to deliver those rewards. So the normal incentives that drive companies to use information technology to make themselves more efficient simply aren’t as strong in health care as they are in other industries -- at least on the provider side. But as customers with a combined employment base of over a million people, Amazon and JPMorgan and Berkshire Hathaway may have the incentives, and the expertise, to do it right. That said, there are other companies in the industry, with an incentive to get technology right, and so far, few of them have managed to overcome all of the obstacles that the system puts in their way. The dysfunctional incentives of third-party payer, where the people making the decisions seldom have any reason to reward efficiency … the incredible fragmentation of the market, which makes it hard to come up with big, unified solutions … the fierce resistance of providers to adopting new ways of doing things … and if you somehow manage to surmount all of those obstacles, and actually start rationalizing things, the tendency of legislators and regulators to come steaming in with some new law or regulation that renders your idea illegal. Most importantly, you are dealing with human beings at their most stubborn and vulnerable. Your regime of evidence-based medicine will founder on the fact that human bodies are not very well standardized, and go wrong in all sorts of perplexing ways that will resist any attempt to neatly categorize them. Your behavioral modifications will run up against the fact that human behavior is awfully hard to change. 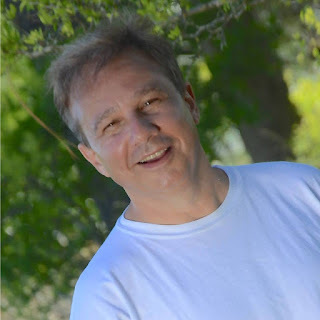 And your attempts to beat down costs will run aground when you discover that many market participants enjoy being the only game in town -- like rural hospitals and pharmaceutical manufacturers -- and that you cannot avoid dealing with them unless you want some combination of legal trouble or employee revolt. So while there are some reasons to think this company might succeed, there are also plenty of reasons to think that it will fail. The one thing we can say, however, is that if it succeeds, its success may help usher in an era of even tighter employer control over employees' lives. Right now, even when our employer is functionally purchasing health-care services for us, that transaction is arms-length: We decide on the services, and an intermediary actually pays the bill. There are probably considerable savings to be had if employers use their power to guide employees toward better decisions about everything from ER use to smoking. But one big reason that our health care system is such an expensive mess is that Americans hate being told what to do. They demand maximal, expensive, freedom of choice about their health care. They rebel if they can’t get it. Worse still, if they are denied it, they call their legislators, who do things like telling insurers to stop denying so many claims for experimental treatments of dubious worth. Maybe Amazon -- with big data and smart algorithms like the one that recently enticed me to buy Russian cake piping tips, a product I had previously had no interest in or even awareness of -- can get us to start acting like more responsible health-care consumers. But then again, maybe consumers and providers will continue to be swayed by the perverse incentives that gave us the system we have today. 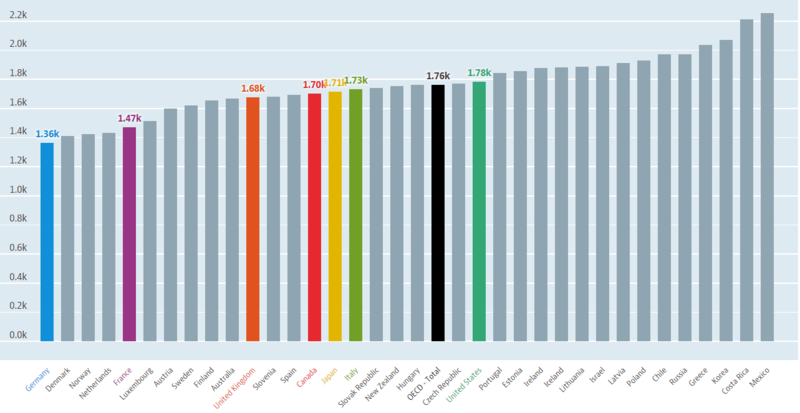 New data from the Organization for Economic Cooperation and Development(OECD), whose 35 members include much of the developed world and some developing nations, found the average Mexican spends 2,255 hours at work per year – the equivalent of around 43 hours per week.